CID going off air after 21 years is like hearing of an aunt’s death who you’d thought died 10 years ago. Back in the day, when there weren’t any smartphones or tablets, we used to pick our noses while watching some random show on the television. Most of the time that random TV show would be CID. I still remember Sony channel used to run marathons and reruns of marathons of CID; you know, just in case someone hadn’t memorised each and every episode. While picking our noses will continue, the news is that CID won’t. 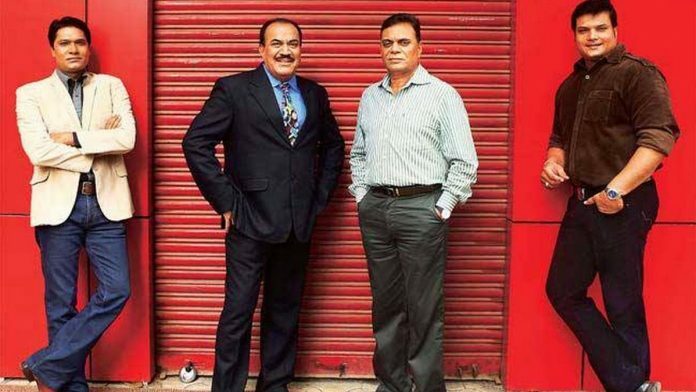 CID will air their last episode on 27 October before it goes off air for an ‘intermittent break’. It ran 21 years and has over 1,544 episodes. If you can’t fathom how much time that is, imagine that there exists a guy who went to school, did coaching, entered an engineering college, passed out of that engineering college and is now in the first year of his job as a junior copywriter; this guy’s daily routine all these years included watching a new CID episode every week. Every week began with a “Daya, yahan pe oh laash hai!” To be honest, I didn’t even know that CID was still running. It’s like hearing the news of the death of that distant aunt who you thought died ten years ago. Wait, you were alive all these years? I thought you were gone long ago. In this grown-up world of Netflixes and Prime Videos, CID is one of the few strands of memory left from our authentic Indian childhood. CID is that aunt who taught us nothing of use, but who everyone loved to be around. She would come to our house every afternoon after school, and would tell us four different stories. Or five, depending on the power outage. While our parents warned us to watch out for that aunt as she would distract us from studies, we knew that even they loved her secretly. Sometimes we would fall asleep listening to her stories, and sometimes we would make ourselves two pegs of Bournvita and glue our eyes on her. At the risk of sounding sentimental or illiterate, the only positions that I knew of in the Indian police hierarchy are ACP and hawaldar. All ACPs were Pradyuman to me by default. I remember my disbelief when I came to know that the police don’t use a Qualis for their day to day activities. Or that they don’t break doors like Daya (what do you mean you have to get a warrant?). Or that they have to wear uniforms. Or that they are mostly corrupt. Well, it’s about time I grew up, but don’t tell me that there doesn’t exist one Salunkhe in the forensics department who would guess whose blood it is before actually running the tests. Surely there must exist an inspector Abhijeet who jumps from the roof to save a girl who has jumped from the building much before he ran to save her, and successfully grabs her mid-air, and then also lands safely, thereby defying all laws of gravity. And surely there exists a Fredericks who would still clap at all this. Back then no one asked simple questions like how is Abhijeet’s free fall faster than that girl’s? Everyone clapped like Fredericks. We were all Fredericks. While the jokes of Daya and his doors will be around forever, the thought that Daya won’t be there anymore is still taking some time to sink in. But like every Cartoon Network-TNT-Shararat–Sanjeevani, we will get over this too. Some years down the line, when our kids would be wearing their 3D Oculus and boxing with an opponent thousands of miles away, we will look at them and whisper to our spouses, “Remember we used to watch CID after school?” Our conversation won’t end there and we will talk about CID again like little kids for another hour, remembering every single Daya joke and how Salunkhe only had test tubes in his lab. And while we will be reminiscing our past, I just hope that our kids remove their 3D gadgets from around their little heads and ask us what CID is. I swear to god I will tell those little runts all about what CID is and what CID meant to their parents. When CID was on air, it was never compared to any other TV show. It existed on its own. No one complained, no one whined. Either you watched it or you didn’t. No one ever outraged about how the show must stop. It existed. It stayed. Daya kept breaking doors. It survived. I wonder if another CID will ever exist in India. In the race of TRPs and advertising, where shows don’t even last for more than six weeks, history will treat CID very kindly indeed. It will always be kept safely in that nostalgia cupboard hidden behind our childhood photos. Every once in a while, I promise I will remove the dust from it. So long and thanks for all the memories, ACP. Vishal Dayama is a full-time part-timer, who religiously dedicates his life to cracking bad jokes. He also writes scripts for comedians. He is @sarcusstic on Twitter.